RED HEN’s RESPONSE: This time of year, we hear a lot about applying a “winterizer” fertilizer on our lawns over the fall months. The term “winterizer” has been coined to market various lawn fertilizer products for some 30 years, typically used to sell all sorts of fertilizer blends for applications timed from early late August through late November. According to claims, a winterizer will enhance winter hardiness of your grass and will encourage thick and rapid growth and rooting in the spring. BUT IS THIS REALLY TRUE? 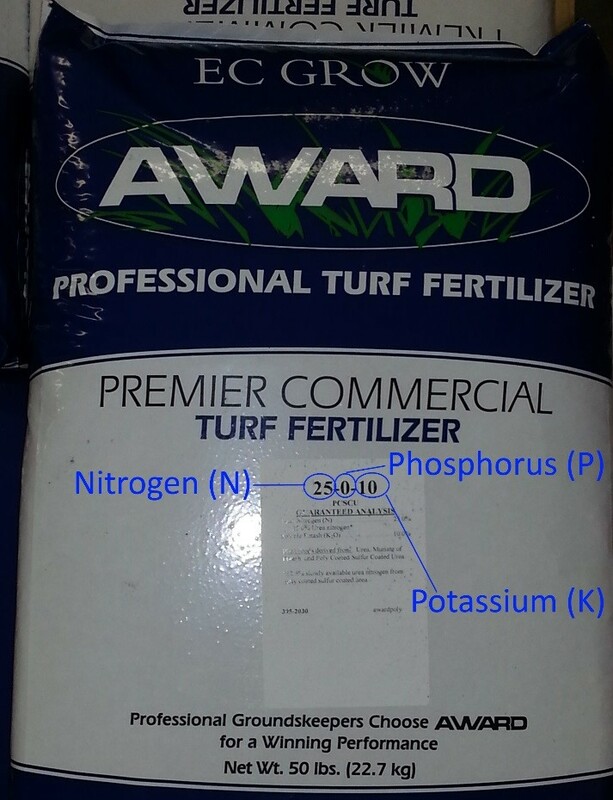 MAYBE, but only if the fertilizer is high in nitrogen, and to know whether your fertilizer is high in nitrogen, you can read the N-P-K percentages (Nitrogen – Phosphorus – Potassium percentages) on a bag of fertilizer. To find out more about how to read the numbers on a fertilizer bag and tips for applying fertilizer, check out our previous blog post by clicking here. Naturally, you’ll always want to follow the directions on the fertilizer bag. With the types of cool-season grasses most commonly used in lawns throughout northwestern Indiana, the most important nutrient for fall fertilization, as with earlier-season applications, is NITROGEN. You should be using a high-nitrogen fertilizer, such as Red Hen Turf Farm’s 25-0-10 or something with a similar formula. Don’t worry whether your bag of fertilizer is or isn’t labeled specifically as a “winterizer” … your grass won’t be able to tell the difference. Does your lawn need a boost of PHOSPHORUS? Maybe, but you’d need to have a soil test done to know for sure. The amount of Phosphorus needed by the grass plant is significantly less than Nitrogen or Potassium. YES – Phosphorus has positive effects on new grass establishment, rooting, and root branching, and it plays an important role during the early grass seedling growth and development stages. Unless a soil test indicates a need, Phosphorus in fertilizer should NOT be applied to established turf. Red Hen Turf Farm’s 25-0-10 fertilizer is a perfect Zero-Phosphorus choice. The second-most important nutrient for fall fertilization is POTASSIUM (K). Winterizing fertilizers are also often high in potassium, and can be applied in spring as well as in the fall. Potassium is used all year by your lawn, and helps with heat and cold tolerance, disease resistance, and other stress tolerances. To our lawns, the need for Potassium is like our need for Calcium. We can get away without it to some extent, but to be truly healthy, people need Calcium and lawn grass needs Potassium. Have you heard that you should apply lime to your lawn annually? A lot of “experts” recommend lime (especially in the fall) as a way of adjusting the pH of your soil to make it less acidic. The idea behind liming your lawn is that you are trying to raise the soil pH near neutral to increase the availability of most plant nutrients. While proper soil pH is necessary to achieve a healthy, attractive lawn, most Indiana soils under turfgrass do not need liming. Red Hen Turf Farm does NOT recommend that you blindly follow this annual ritual unless you have done a recent soil test that indicates you need to adjust your soil pH. 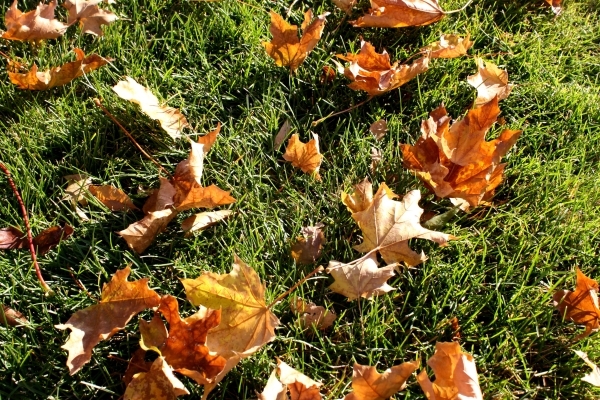 So WHEN should you “winterize” your lawn? Having issues with your lawn that you’re not sure how to deal with? Are you ready to take a more informed approach to your lawn care? Contact Red Hen Turf Farm at 574-232-6811, and we’ll be happy to chat with you. Our current hours are Monday – Friday 7:30 AM – 4:00 PM EST, and Saturday from 7:30 AM – 11:30 AM EST. This entry was posted in FAQ, Fertilizer by Red Hen Turf Farm. Bookmark the permalink.